A lot of you might be wondering why vanilla, of all scents, seems to be getting so much attention nowadays when it comes to feminine perfumes. What is it with vanilla that makes it an attractive perfume ingredient? Well, for the most part, vanilla is a very subtle scent. It can also be quite seductive and alluring if mixed with the right ingredients and brewed in the correct manner. 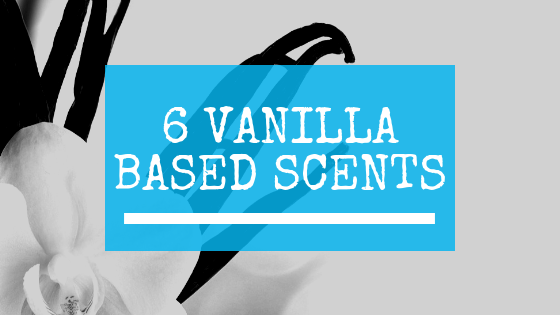 Given the fact that perfumes are made to attract, these qualities make vanilla a brilliant addition to many perfumes. Marc Jacobs Dot is a soft but sensual fragrance that was released in 2012. It comes in a colorful bottle that resembles a lady bug sitting in the middle of a flower. It’s an exquisite creation that is floral-fruity for the most part but also has coconut and vanilla as its base. Essentially, it has a soft sillage and a scent that lingers quite awhile. It’s a blend that women in their late teens will especially appreciate. 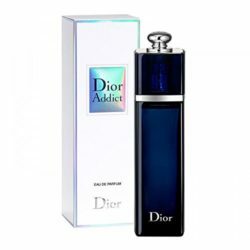 Dior Addict was originally launched in 2002 but was reformulated in 2014. It is a sweet fragrance that is mostly a floral-fruity blend on top and a nice Bourbon vanilla whip at its base. Although it’s a soft and sweet perfume, it can be very long lasting provided when you spray them on direct pulse points. Beware though—its scent can also be incredibly alluring and addictive! Angel by Thierry Mugler, launched in 1992, is an award-winning fragrance recognized by the FiFi Awards as a Hall of Famer in 2007. This fragrance is an eruption of fresh floral-fruity scents that range from vanilla, sandalwood, blackberry and plum to lily-of-the-valley, amber and musk. It can make an enormous impact that can be slightly overwhelming at times but if used properly, it can be used any time of the day or night and last at least 8-hours. Chloe See is a signature of the See by Chloe perfume collection. It’s fresh, trendy and chic—a scent that is a very popular in urban areas. The floral-fruity combo of bergamot, jasmine, and vanilla make up its energetic but elegant vibe. Women from the early to the late 20s may find this scent to be just the right touch they need for the day. It’s soft and moderate—just the right balance of how a woman should project herself in the big city. Like all creations from the D&G house, The One by Dolce & Gabbana is a perfume formulated with an endearing but strong character. With one spray of this dynamic fragrance, a woman can confidently unveil her glamorous poise and sophistication. However, this perfume doesn’t exude so much aroma as to become abrasive to those around the wearer. Instead, this scent has more of a flowery and fruity subtext that seems to draw everyone’s eyes to the person wearing this perfume. Burberry Brit EDT is a light rendition of a sweet-citrusy (and a little bit spicy) fragrance that has a complex blend of vanilla extracts at its base. While some may say it’s rather weak and doesn’t have a strong scent profile, it can be persuasively effective in intimate situations. If you love getting cozy or simply want a soft cuddle, then Burberry Brit EDT is a captivating scent to spray on your skin. It’s a great scent to help you exhibit warmth and affection.